What's New? 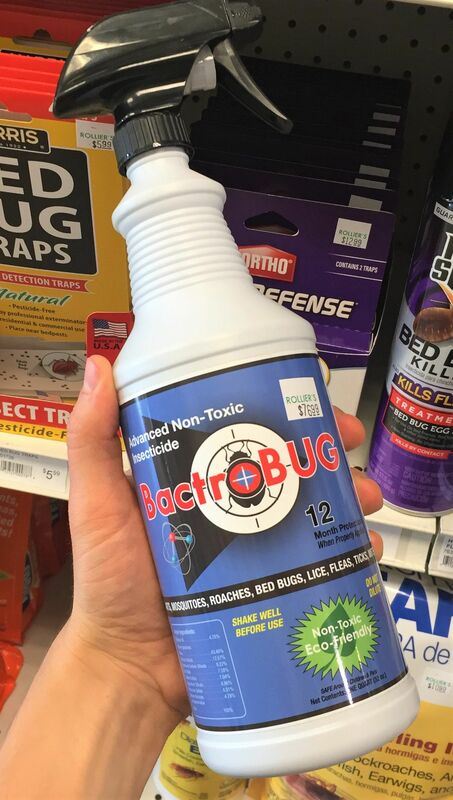 For the Best Bed Bug Killer, Get BactroBUG! Non-Toxic and Eco-Friendly: The proprietary blend of oils and all natural ingredients, make this product truly non-toxic and safe to use around kids and pets. There is no poison in the product, instead the ingredients kill the bugs through accelerated dehydration. Advanced 12 Month Protection: Because bed bugs can eat so infrequently, often waiting weeks or months before they bite and feed again, a 12 month residual treatment such as BactroBUG is truly invaluable. Apply to almost any surface, including your bed, mattress, linens, carpets, floor boards and more. Once the bed bugs return to feed, they will cross the path of the residual spray and die. It truly WORKS! This stuff works and it is guaranteed to solve your problem as long as you apply as directed. One quart sized spray bottle covers about 375 square feet, which is typically enough to do one or two bedrooms with a through application. For more information on this product, please visit our Housewares Department or view this pdf brochure from Bactronix. Thanks for learning about what is new!